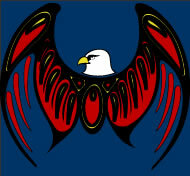 The objective of the Post Secondary Student Support Program is to assist Big Grassy Band Members to gain access to Post Secondary Education and graduate with the qualifications and skills needed to pursue individual careers and contribute to the achievement of First Nation self-government and economic self-reliance. The Post Secondary Student Support Program provides financial assistance to eligible Band Members towards the cost of their Post Secondary Education. Please contact this email for more information on sponsorship questions or concerns. Post Secondary Education Funds may also be accessed from the Ah-Shoo-Gun Trust and Kiitakiinaan Trust. Big Grassy First Nation is a delivery agent for various Colleges, Universities and Basic Literacy & Skills programs via an agreement with Contact North. The Contact North site is situated in the Health Centre building at 509 Beach Road. Access to free high speed internet is also available within the site. “Get your degree, diploma, certificate or upgrade your skills through online learning with personalized support in your community. With over 18,000 courses and over 1,000 programs online and at a distance from Ontario’s Colleges and universities, you can pursue the career you want. Feel free to stop by and inquire with our very own Centre Assistant, Daryl Lapensee JR.